Short Description: Aterra Eco-Premium Hair & Body Wash creates a smooth lather to gently clean the body from head to toe while promoting healthy hair and skin with natural glycerin and panthenol (provitamin B5). 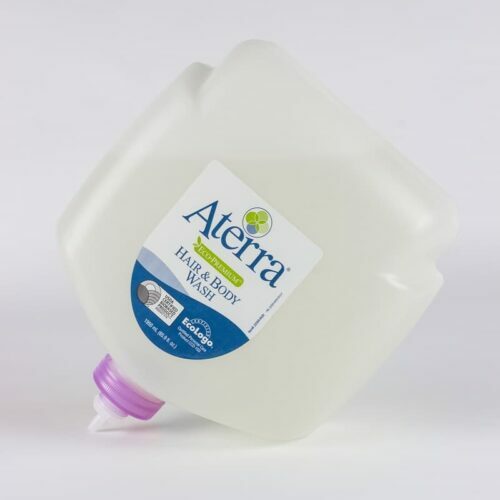 Aterra Eco-Premium Hair & Body Wash creates a smooth lather to gently clean the body from head to toe while promoting healthy hair and skin with natural glycerin and panthenol (provitamin B5). Aterra Eco-Premium Hair & Body Wash is a USDA certified biobased product and by passing a variety of rigorous, third-party environmental and performance testing is EcoLogo® certified to Personal Care Product CCD-103. 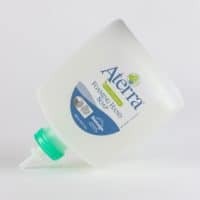 Be the first to review “Aterra Eco-Premium Hair and Body Wash – 1950 mL Eco-Flex Refill” Click here to cancel reply.